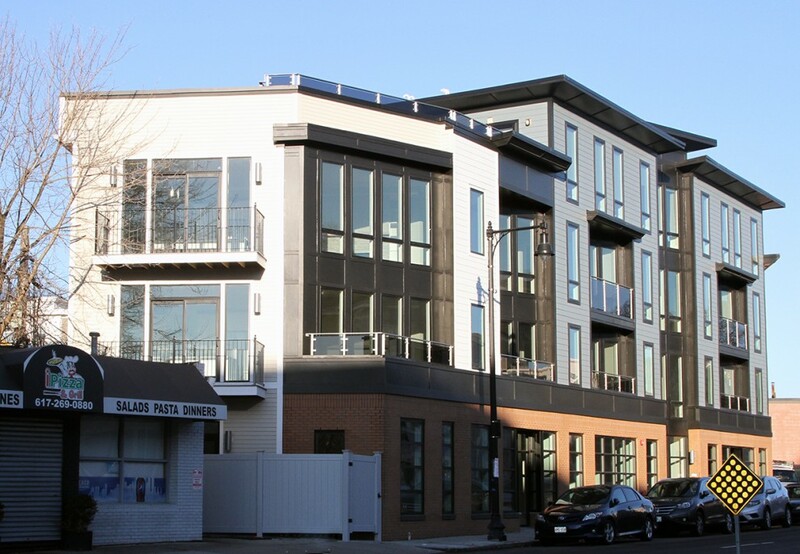 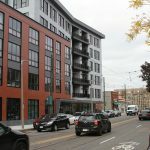 Working with Cabot Residential Inc., Ocean Works had the opportunity to display some of its custom metal fabrication on a new 14 unit condominium in South Boston. 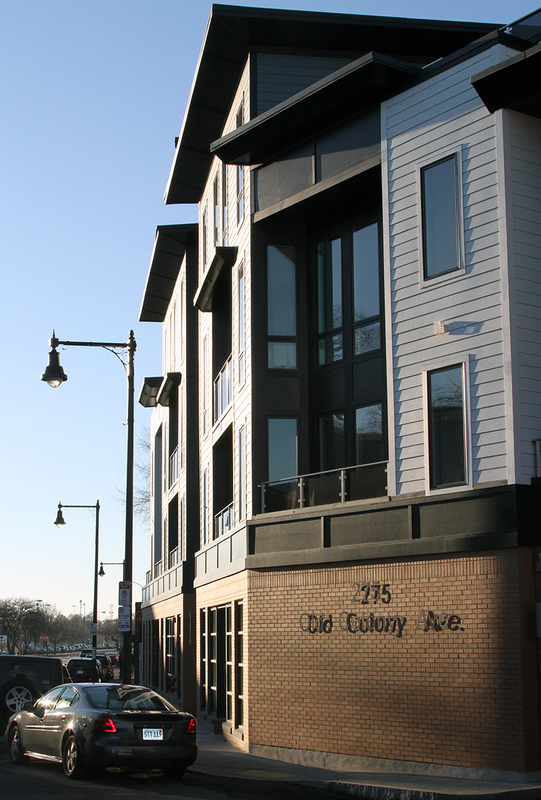 Among the featured work on the building, Ocean Works provided stainless steel signage for the building’s address. 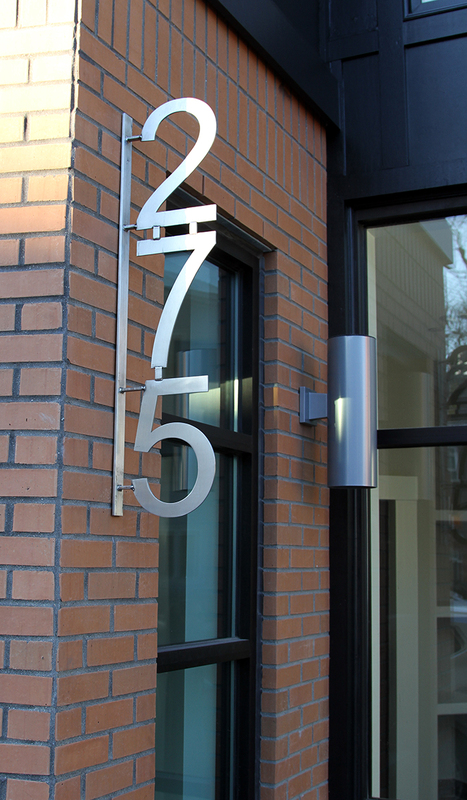 Two wall-mounted signs were made from brushed stainless steel displaying both the full building’s address and a unique projecting wall sign displaying only the address number. 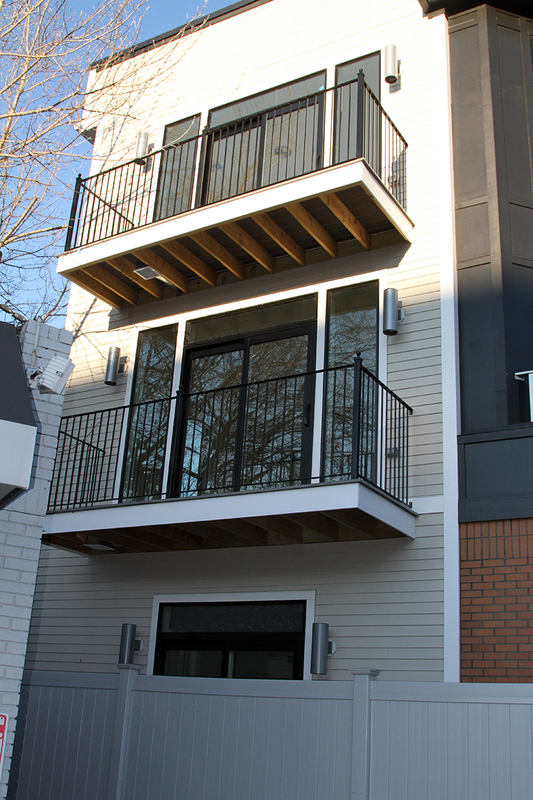 Both signs allow a weather resistant, highly visible, and modern way to identify the building. 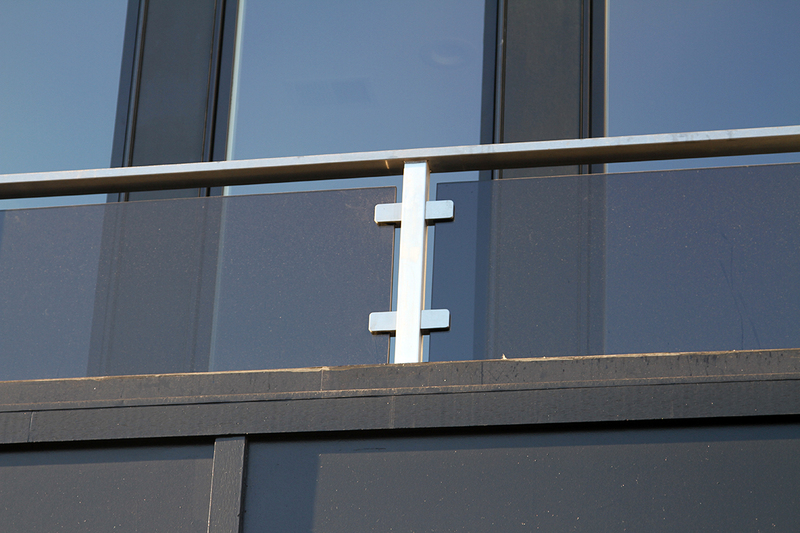 For the units, Ocean Works helped to mix styles for the balconies by providing standard wrought iron railings as well as modern stainless steel railings with glass panels. 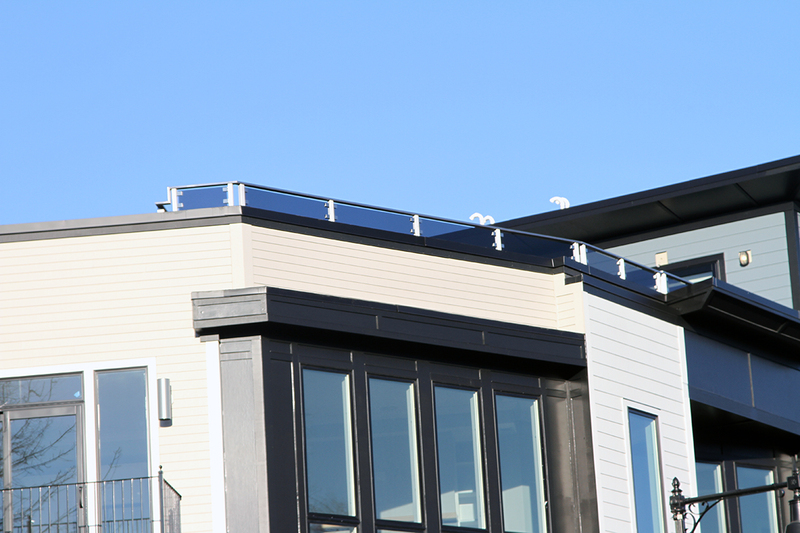 The brushed stainless steel brackets are joined by darkened glass panels, provided by AMPM Glass which enclose the street-facing balconies on the second floors and roof balconies. 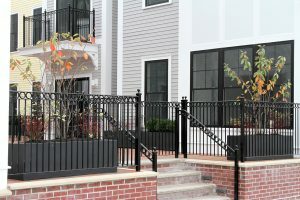 For the unit’s smaller balconies, Ocean Works fabricated and installed wrought iron railings. 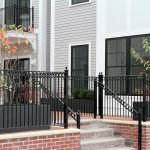 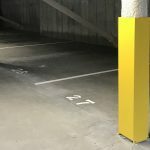 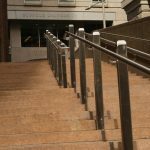 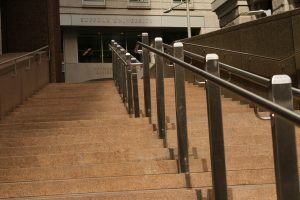 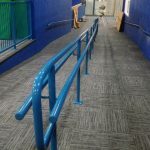 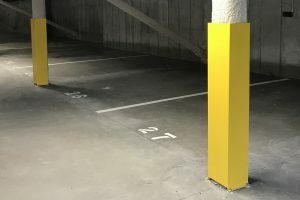 Powder coated for durability in South Boston’s range of weather conditions, the railings are a standard size and height providing security as well as longevity for the building and its residents. 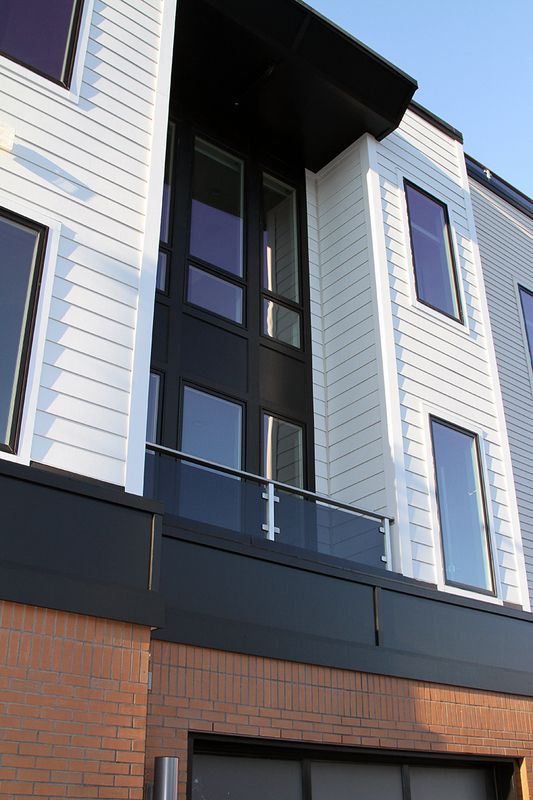 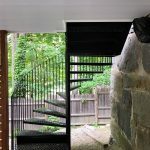 Thanks to both Cabot Residential Inc. and AMPM Glass, Ocean Works was able to mix traditional and modern metal fabrication to show how function and style can work together.